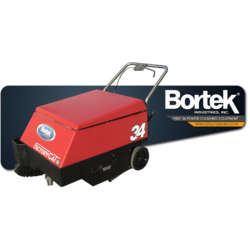 PowerBoss Collector 34 Sweeper- Bortek Industries, Inc.
Save time and labor costs by streamlining the way you clean. 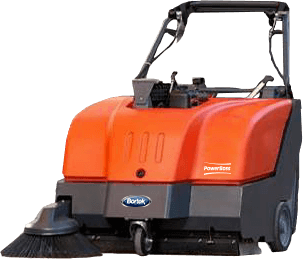 The PowerBoss Collector 34 Sweeper delivers high sweeping performance and capacity, due to its large main broom and hopper size. An overthrow sweeping system allows the hopper to achieve 100% capacity, giving you the ability to clean longer between dumping. Plus, the dirt is collected into two hoppers for more comfortable emptying. The heavy-duty design is maneuverable and easy-to-use. The large broom negotiates corners, giving you a dust-free clean. The large debris flap is designed to allow you to collect larger objects. The PowerBoss Collector 34 has a self-propelled traction drive system, making it easy to maneuver. 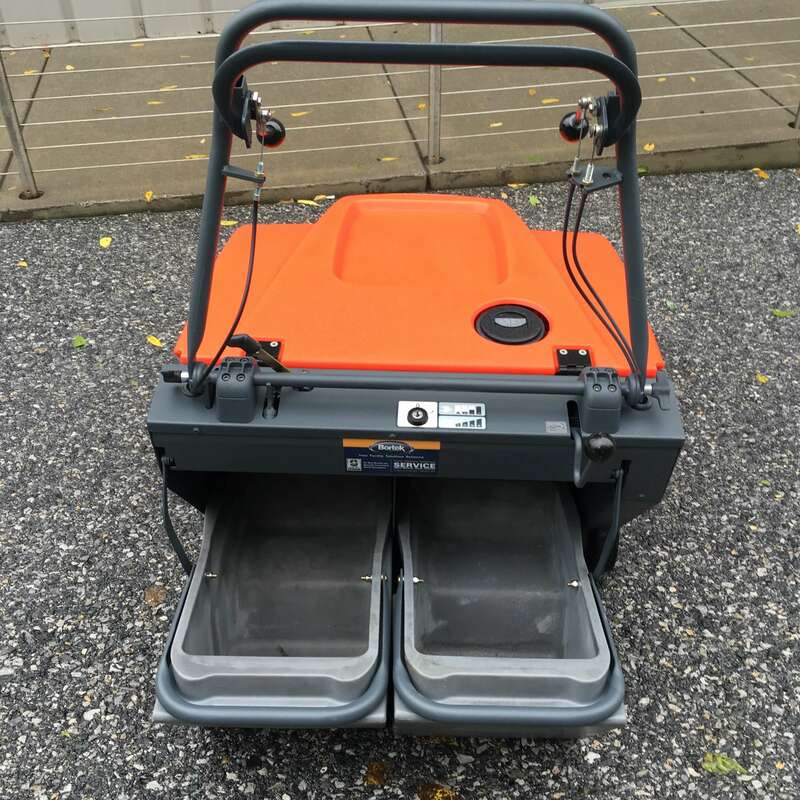 The Collector 34 is available in battery power with a built-in charger or in gasoline powered by a quite Briggs & Stratton 4.4 hp engine. The Collector 34 can be used in virtually any location, indoors or out. 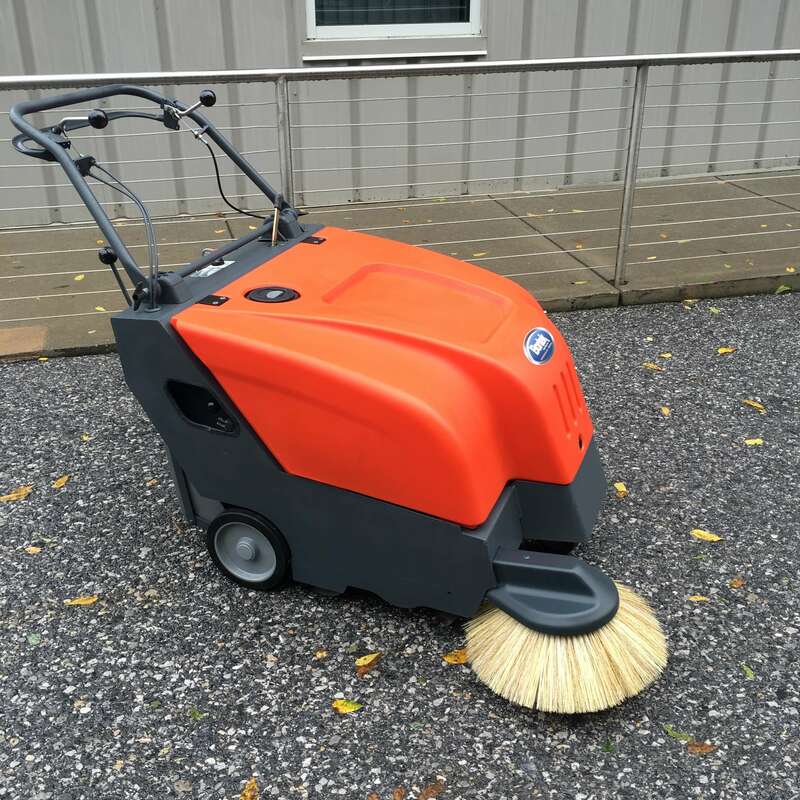 Clean warehouses, shopping centers, manufacturing plants, distribution centers, parking garages, loading docks and more with one of these power sweepers from PowerBoss. 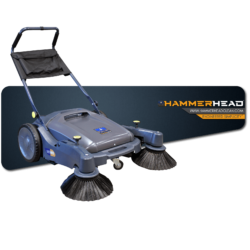 The HammerHead 900SX Sweeper is a compact, industrial strength, Walk-Behind Sweeper that encompasses all the key facets for heavy industry use. Compact, appealing and with a high quality standard design, the 900SX is designed to be used in all environments both public and industrial, indoor and outdoor. 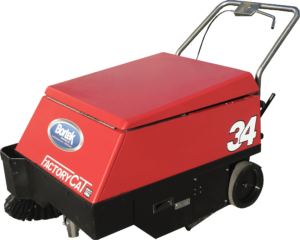 No matter what you need to tackle, a Factory Cat Model 34 is able to handle your heavy-duty cleaning needs. Easily pick up metal shavings, foundry sand, woodchips, broken glass, paper, dirt and dust. 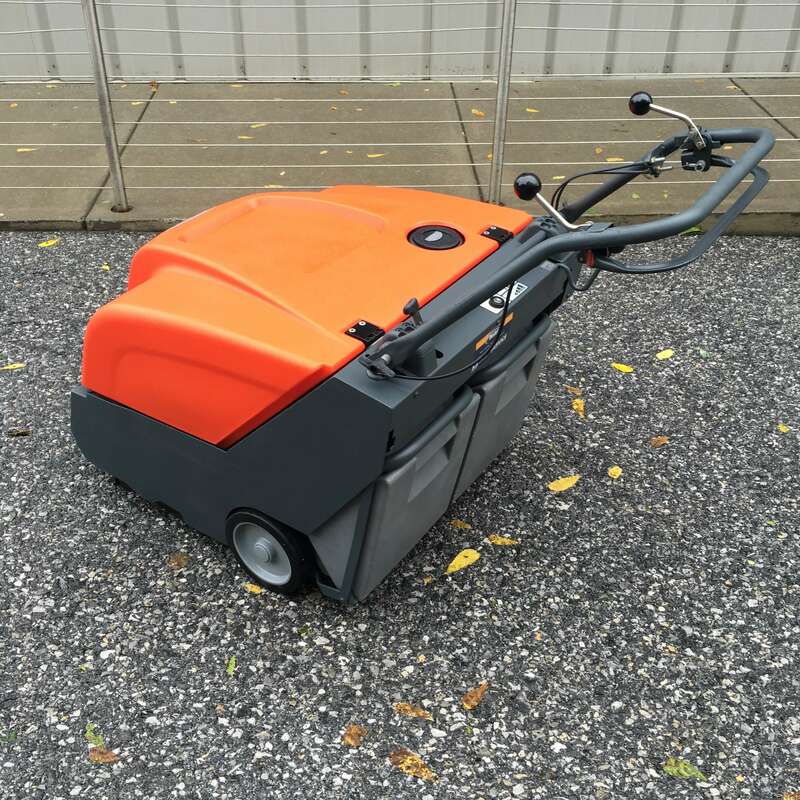 In fact, this walk-behind sweeper can sweep up multiple bags of cement without leaving any dust behind or blowing it into the air, thanks to its polypropylene felt “baghouse” filter. Because the filter is cleaned by an on-board mechanism, it typically lasts the length of the machine. Save time and labor costs by streamlining the way you clean. The PowerBoss® Collector 34 delivers high sweeping performance and capacity, due to its large main broom and hopper size. An overthrow sweeping system allows the hopper to achieve 100% capacity, giving you the ability to clean longer between dumping. Plus, the dirt is collected into two hoppers for more comfortable emptying. 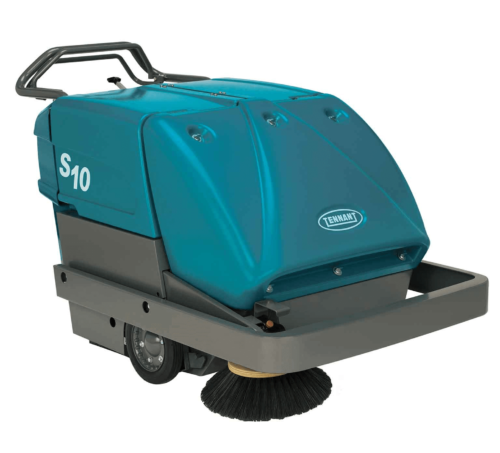 Clean in close quarters and wide-open spaces with the Tennant S10 Industrial Strength Walk-Behind Sweeper. This compact, heavy-duty sweeper is engineered to clean even the harshest industrial environments. Protect both the machine and your facility with durable, corrosion-proof construction and a wrap-around bumper. 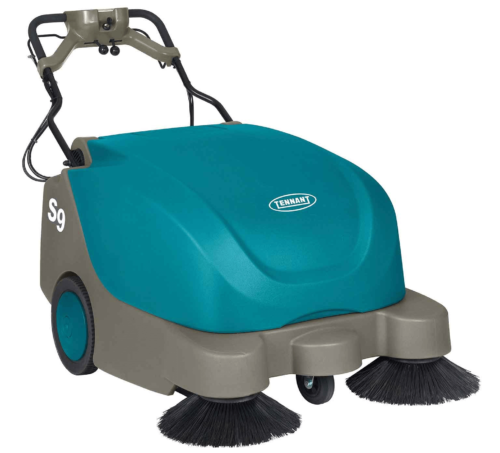 Clean large indoor and outdoor areas quickly and easily with the S9 Large Battery Walk-Behind Rider Sweeper. 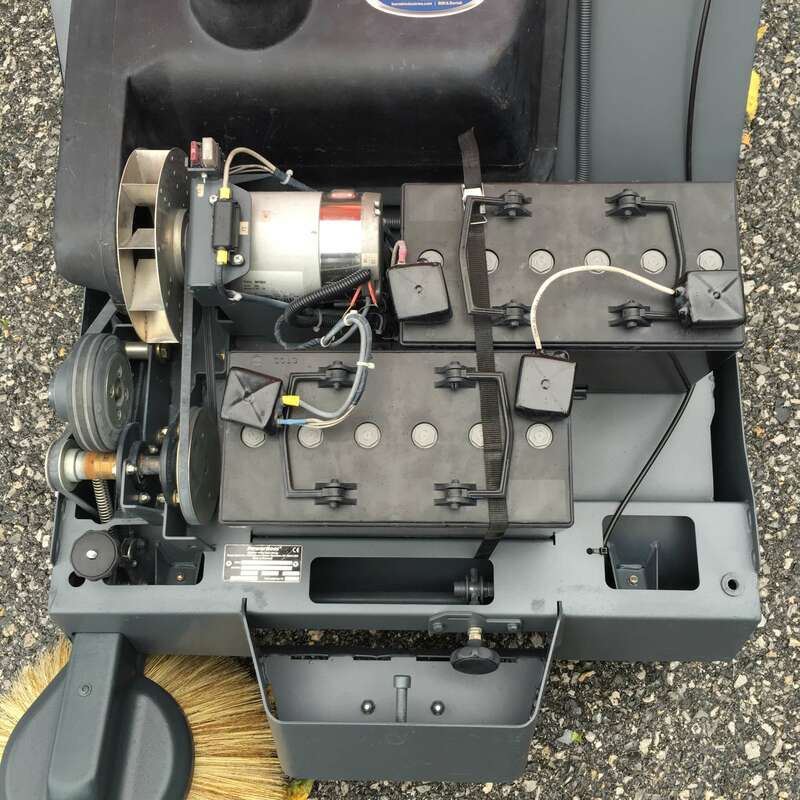 Operators will appreciate the self-propelled operation of this walk-behind sweeper, and visitors will be impressed with your debris-free floors and walkways. 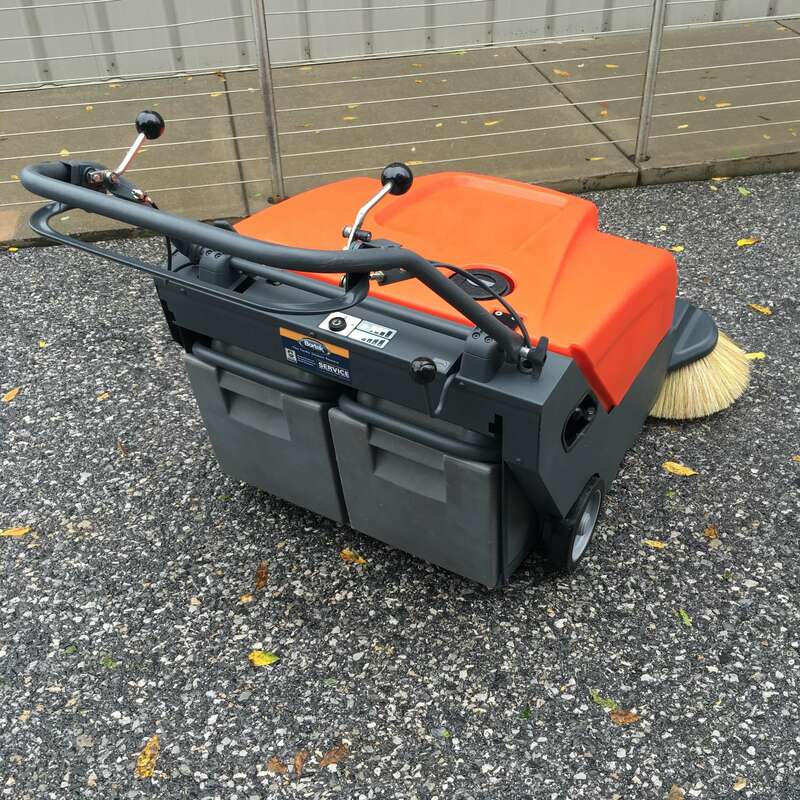 Use this large battery-powered sweeper to cover more square footage faster and to reduce your total cost to clean. 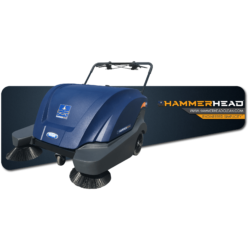 The Advance SW900 is the ideal machine for rugged industrial sweeping when indoors and out. 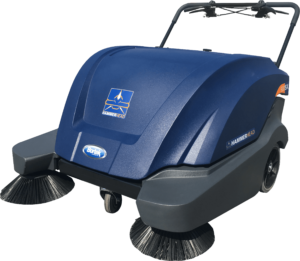 Its single-stage high capacity dust control system delivers effective dust-free removal of dry debris. 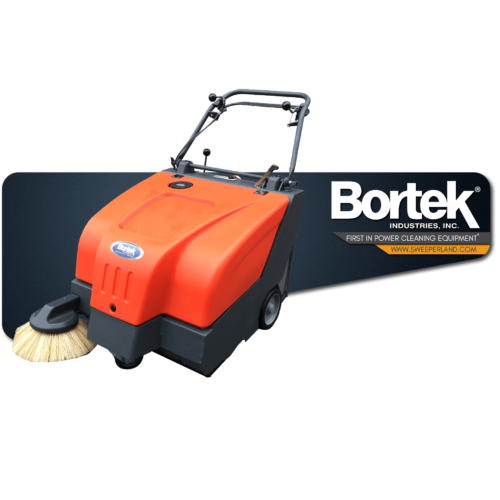 Running up to 3 hours on a single charge, the wide main broom and dual side brooms deliver edge-to-edge cleaning for maximum productivity. Its compact size allows the SW900™ to maneuver easily in narrow aisles and through doorways. 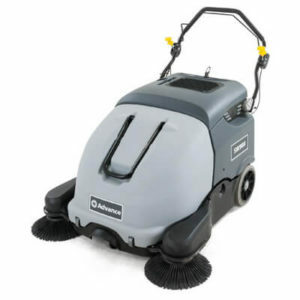 The SW900™ is ideal for use in schools, warehouses, airports, entertainment facilities, colleges and countless other applications where economical and superior cleaning results are desired.